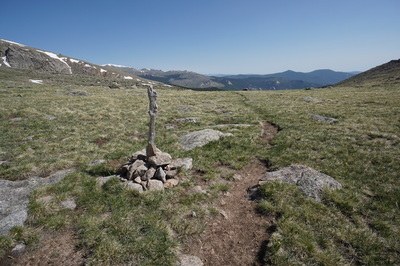 Directions: From Denver, take Hwy 285 south past Pine Junction. 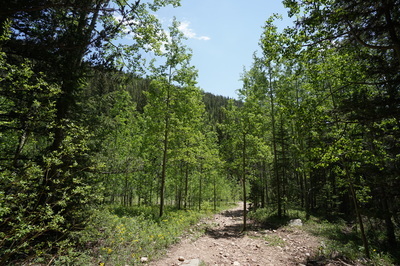 Turn right on Deer Creek Road (County Road 43) and follow it for 6.8 miles until County Road 47 veers off to the right and 43 veers to the left. 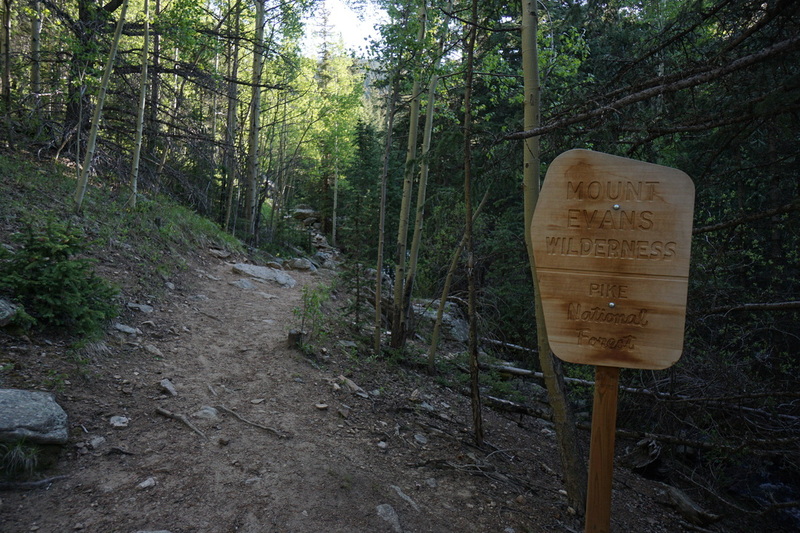 Continue on 43 for about 2 miles. 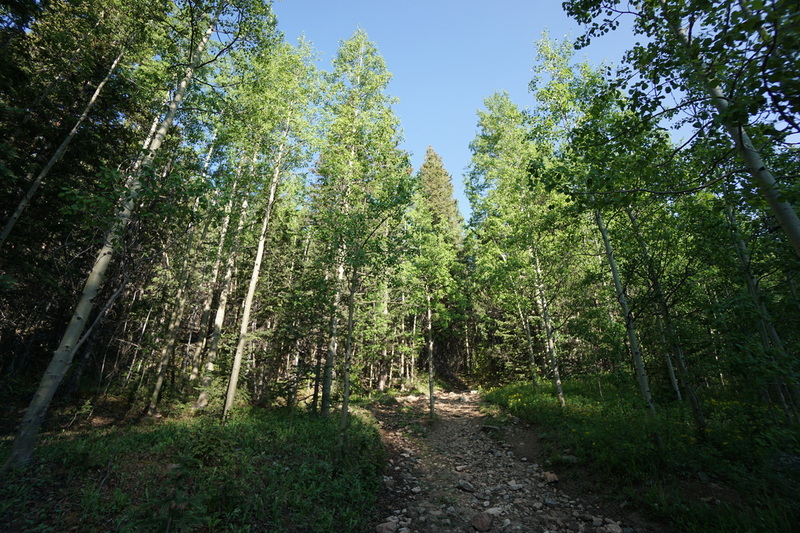 The paved road becomes a good dirt road but gets narrow and a bit more rocky after the Campground. 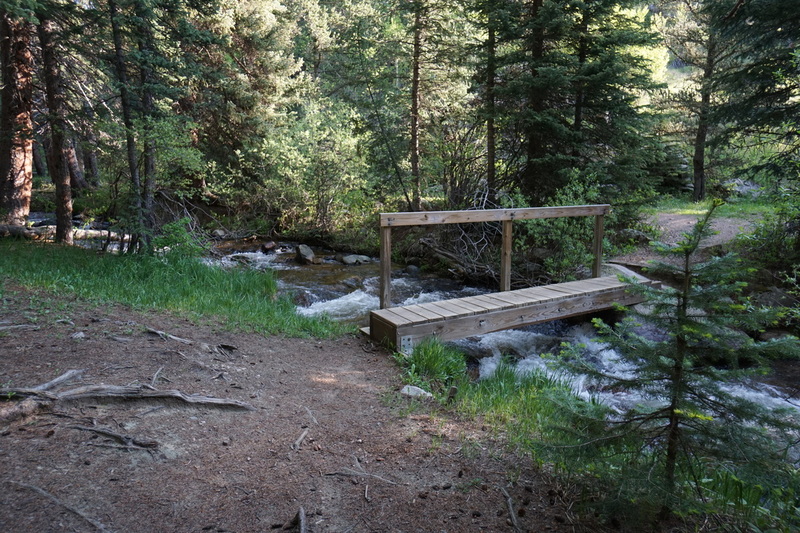 In good weather most cars should be able to make it to the trailhead. 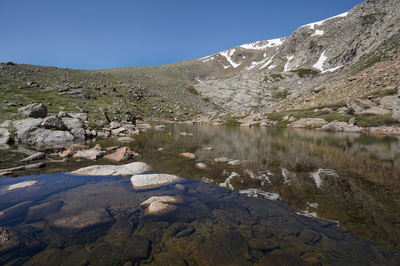 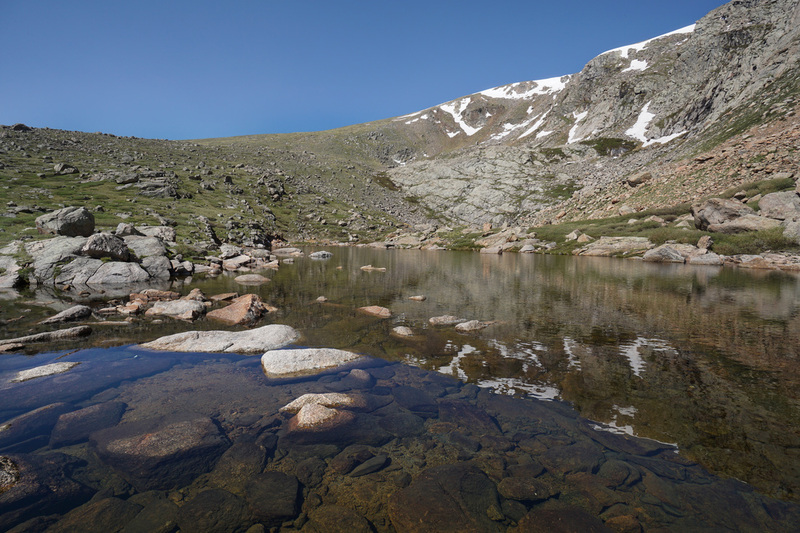 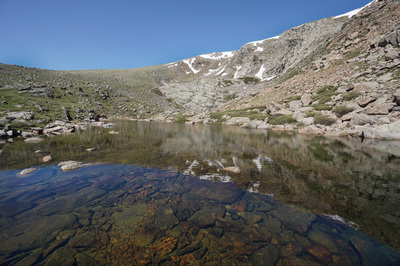 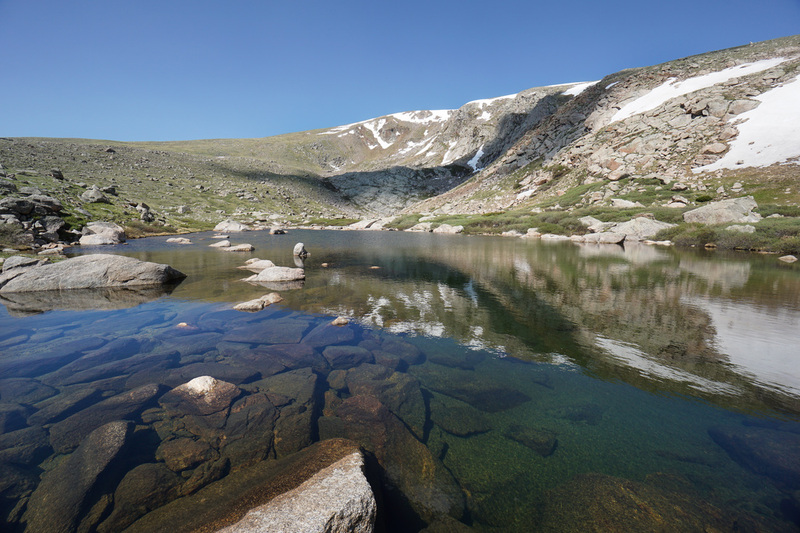 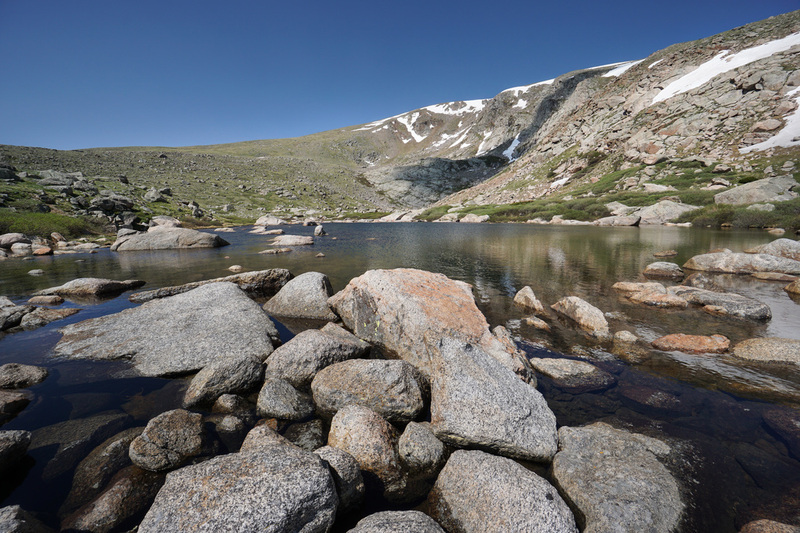 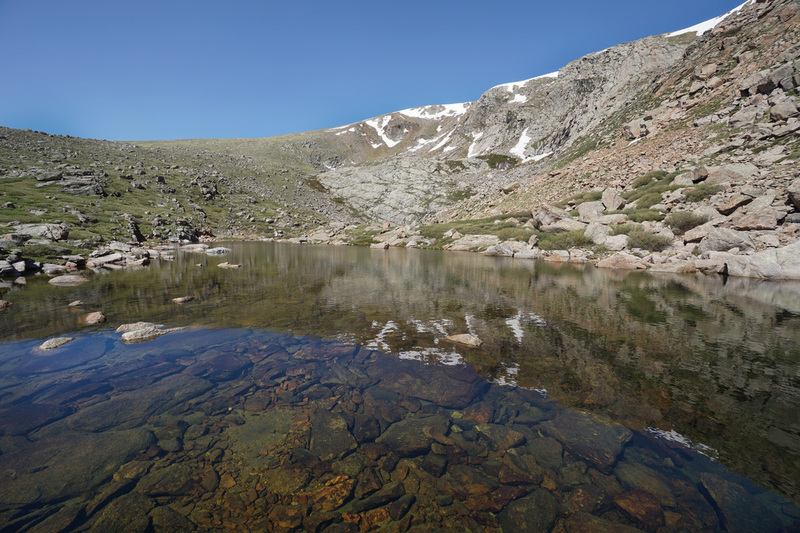 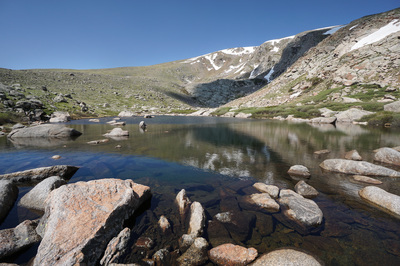 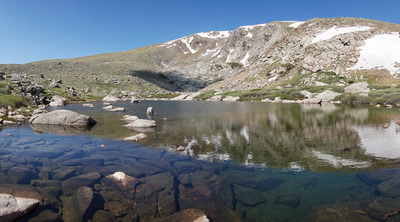 ﻿The Roosevelt Lakes are two alpine gems nestled into the shear cliffs that make up Rosalie Peak's eastern flank. 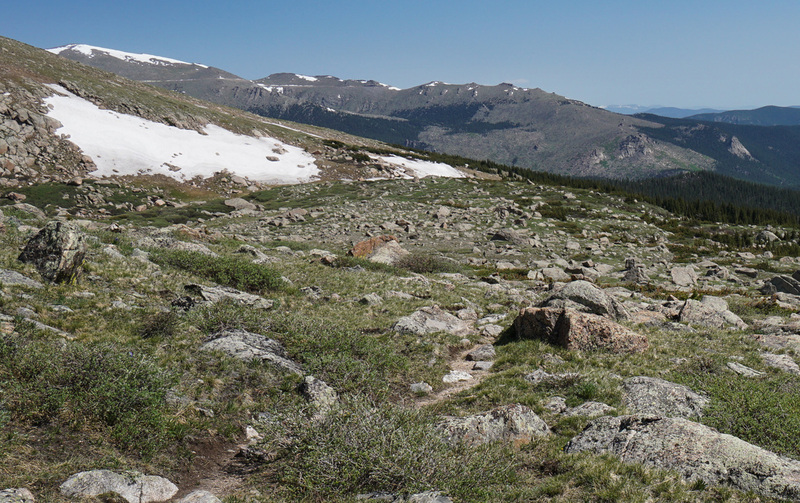 The hike to the lakes is a long one, but it is absolutely beautiful. This part of the Mt. 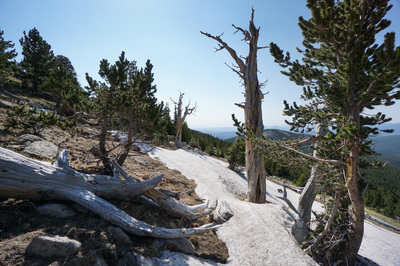 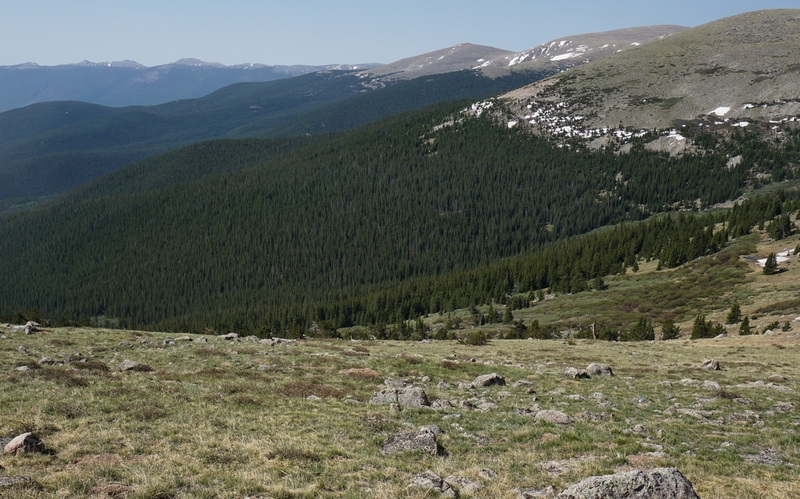 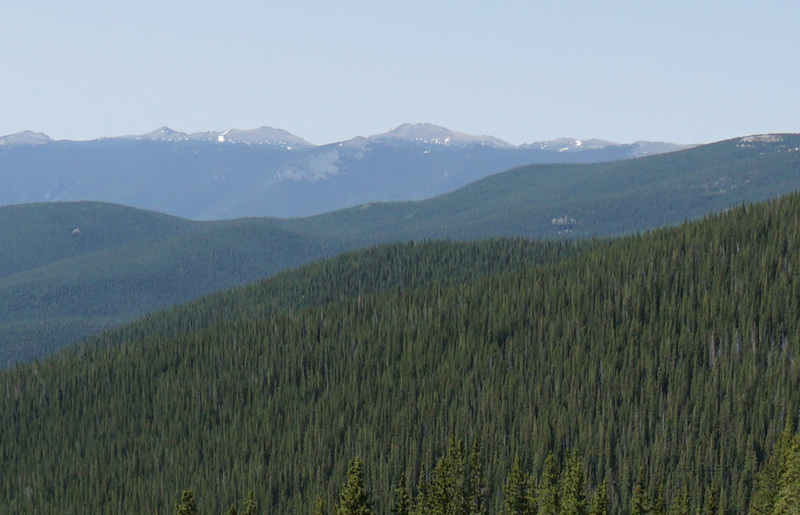 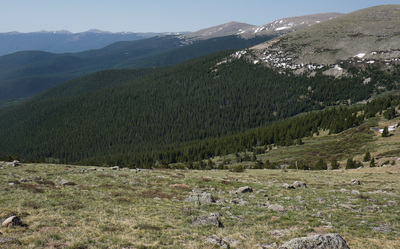 Evans Wilderness sees far fewer visitors then the area around Mt. 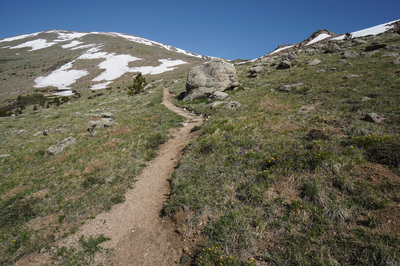 Evans Road making this a great way to access the wilderness in relative solitude. 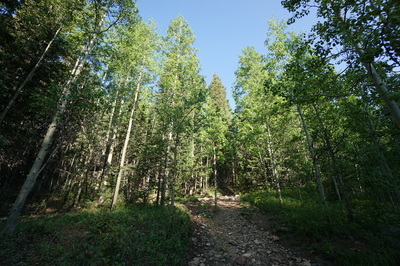 From the Deer Creek Trailhead start hiking along the Tanglewood Trail. 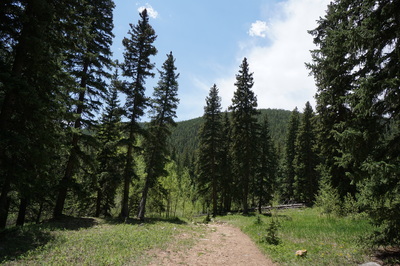 The Tangelwood Trail in an of itself is a great hike and it is mostly used to access Rosalie Peak, the southernmost peak in the Mt. 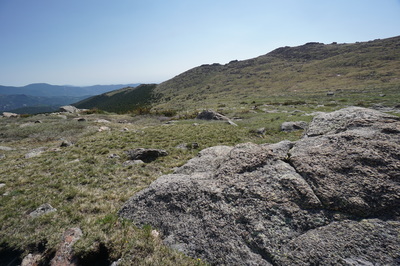 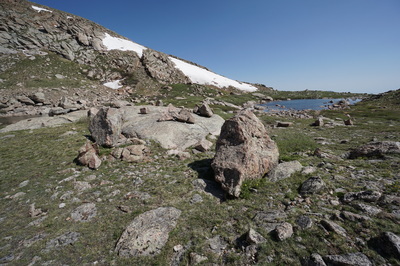 Evans range. 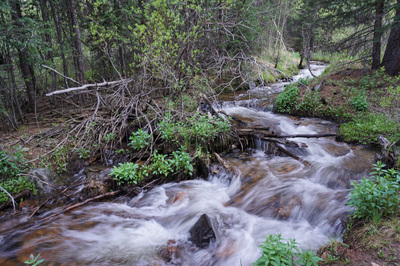 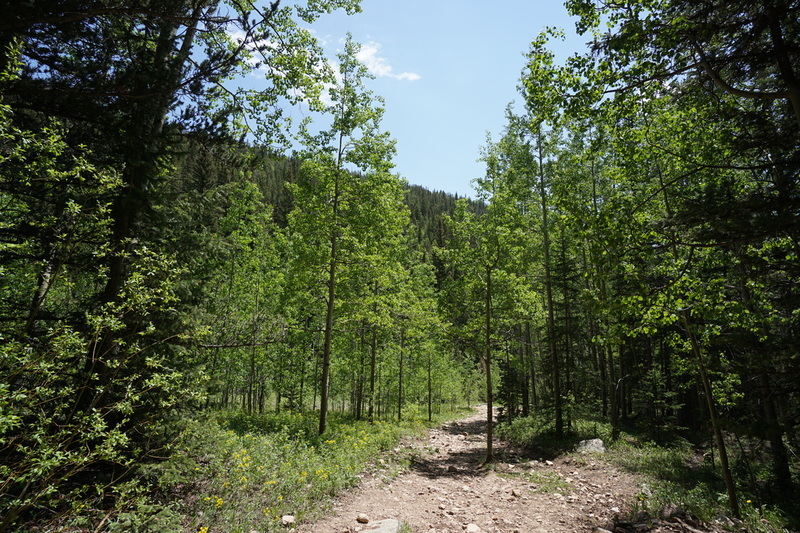 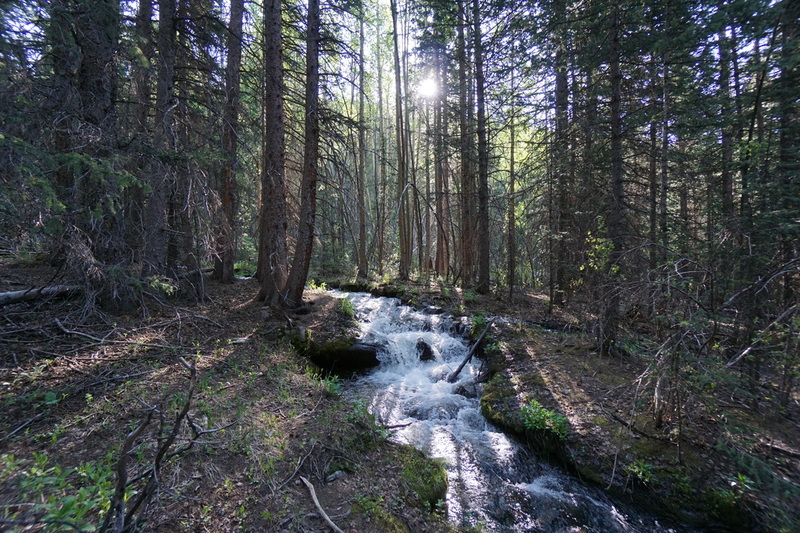 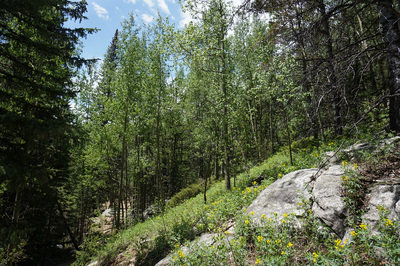 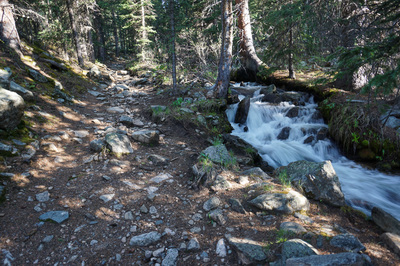 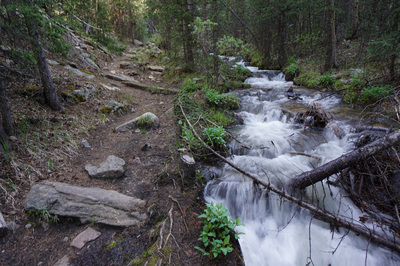 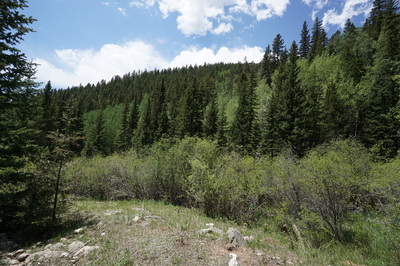 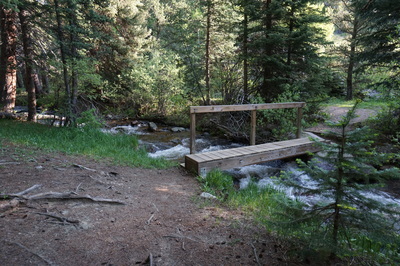 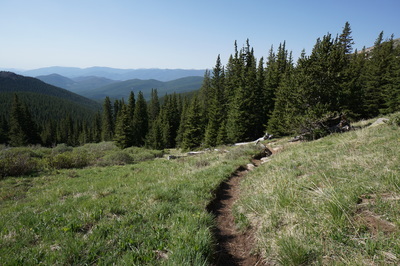 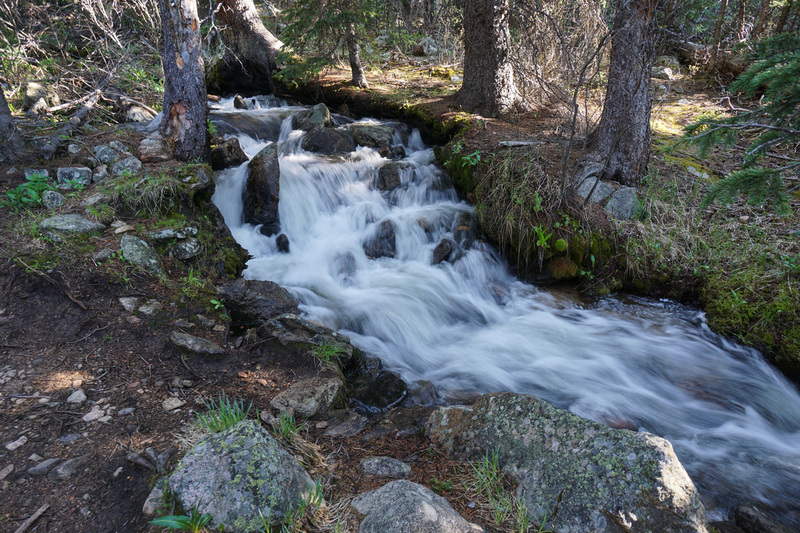 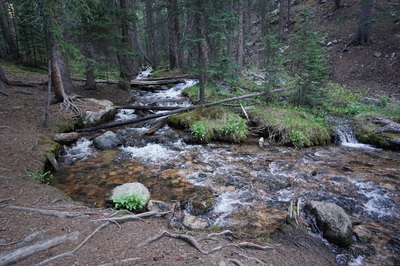 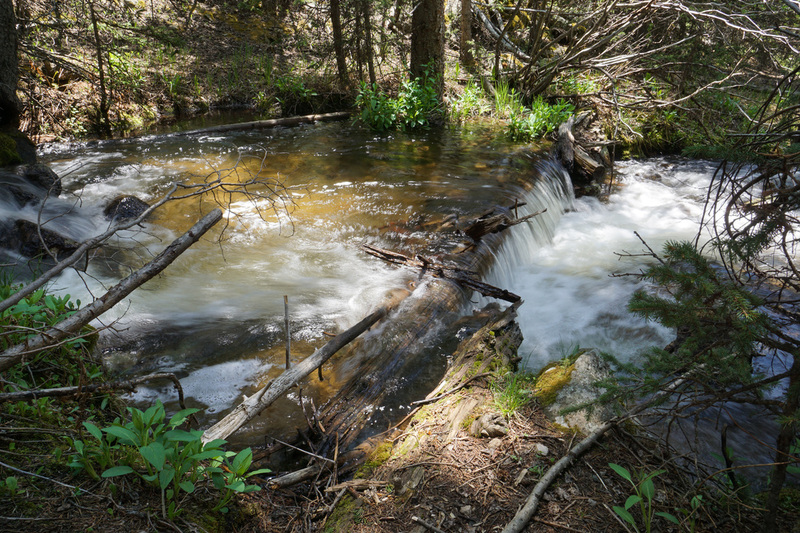 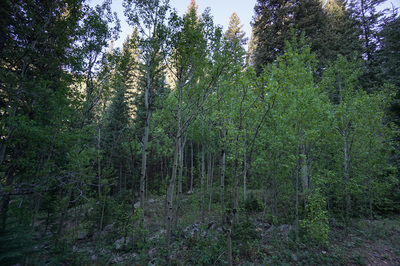 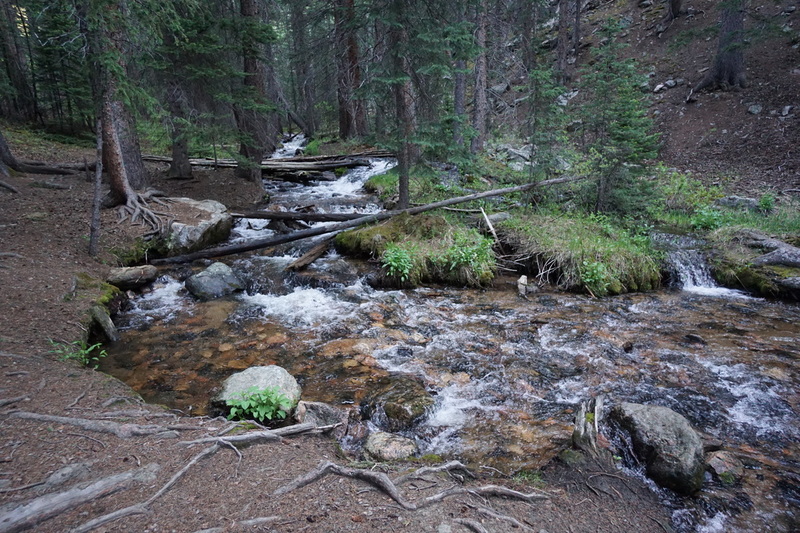 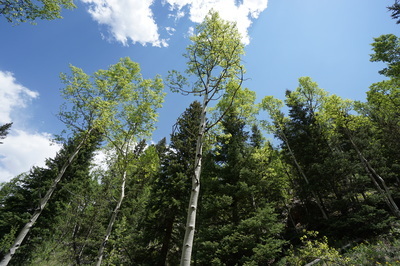 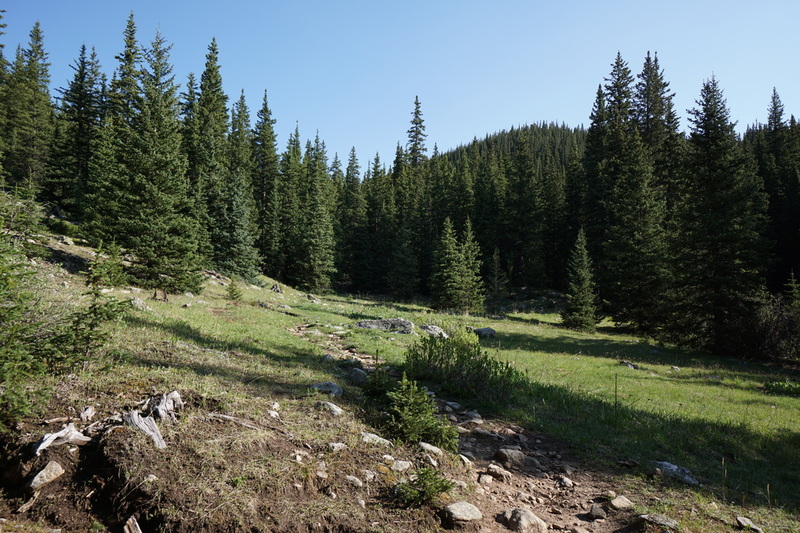 For the 1st mile of the hike you follow Tanglewood Creek through stands of Aspen trees until you reach the Wilderness boundary and the junction with the Rosalie Trail. 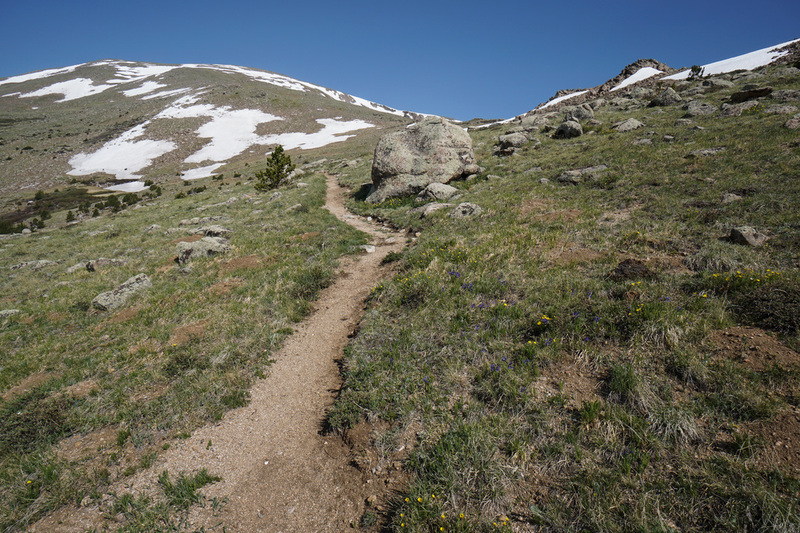 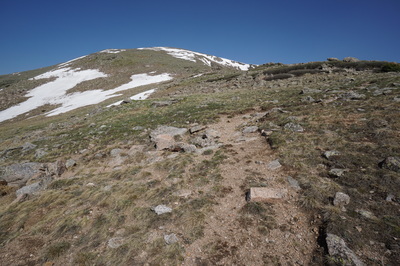 (Side note: if you want to climb Rosalie Peak, DO NOT take the Rosalie Trail, it just leads you to Guanella Pass, after many, many miles.) 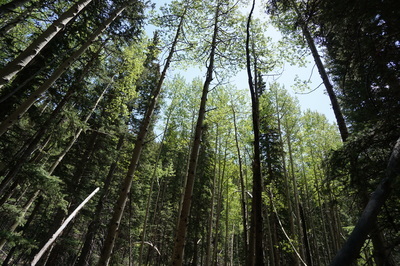 Continue on the Tanglewood Trail as it climbs up through the forest. 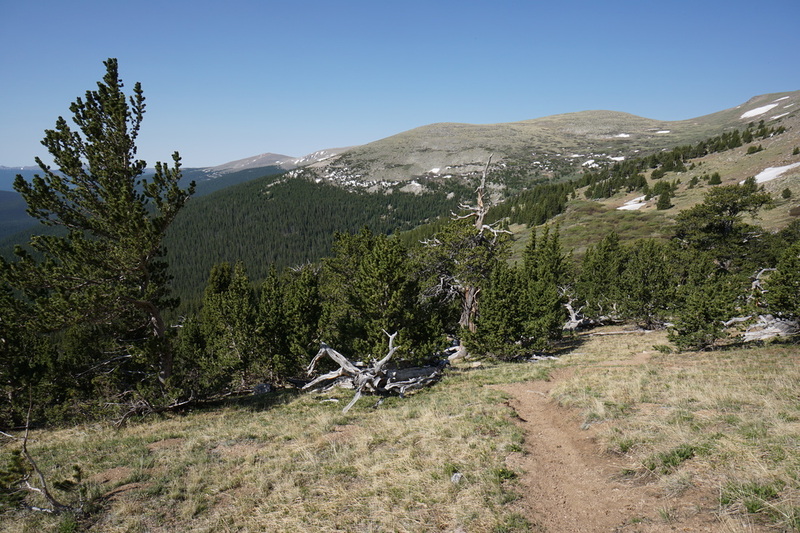 At about 3 miles, you start the switchbacks with a gentle grade until you break treeline. The views to the south are fantastic as you weave in an out of ancient bristlecone pine forest and work your way up to the Rosalie saddle. 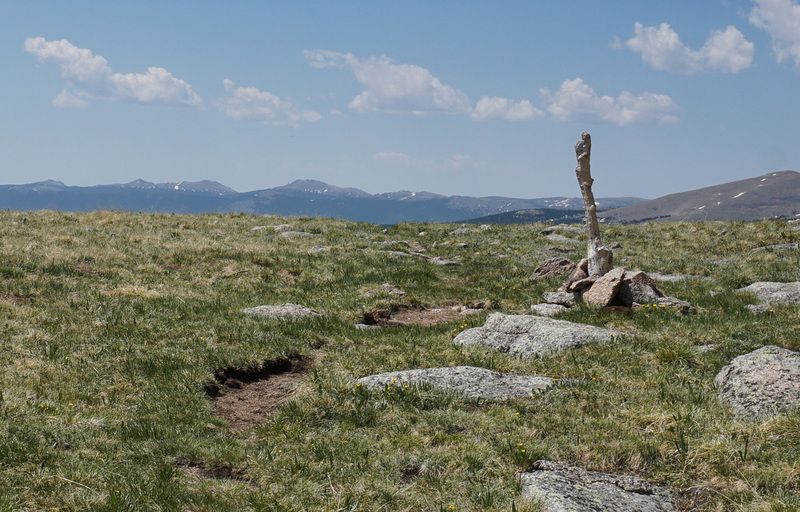 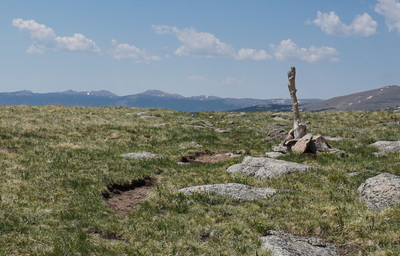 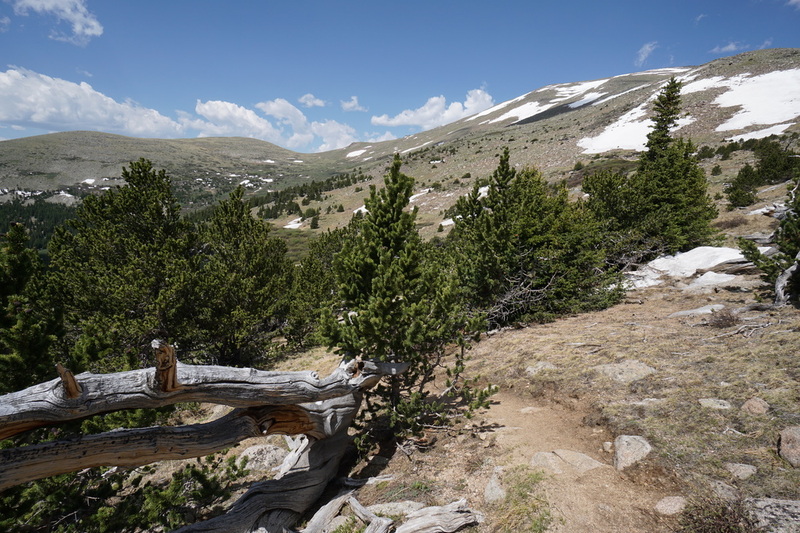 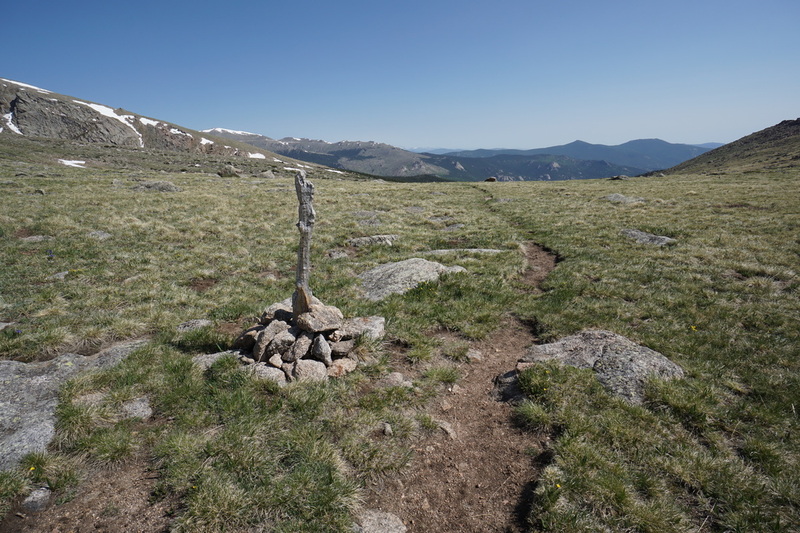 At the saddle there is a wooden stake marking the start of the Roosevelt Lakes Trail and the boundary between Pike and Arapaho National Forests. 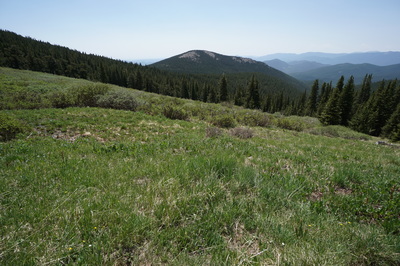 The saddle is a great destination itself with views to the Tarryall and Kenosha Mountains and Pikes Peak on a clear day. 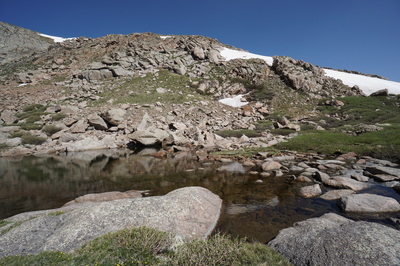 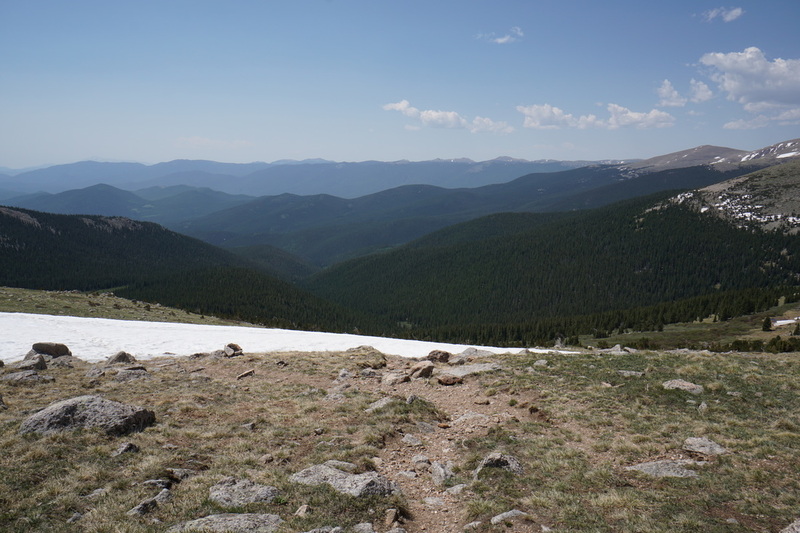 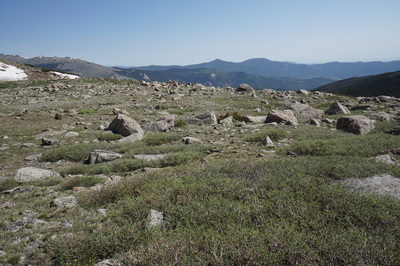 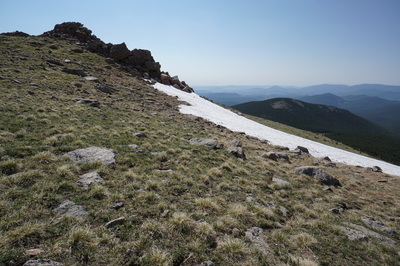 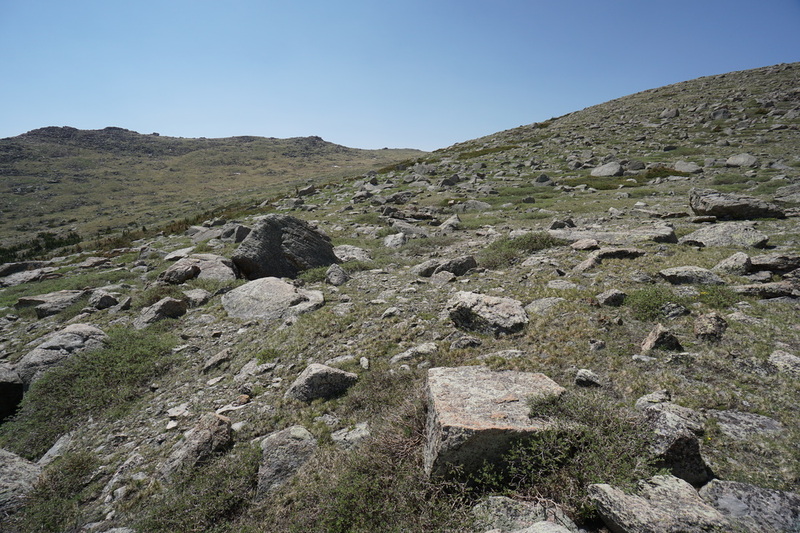 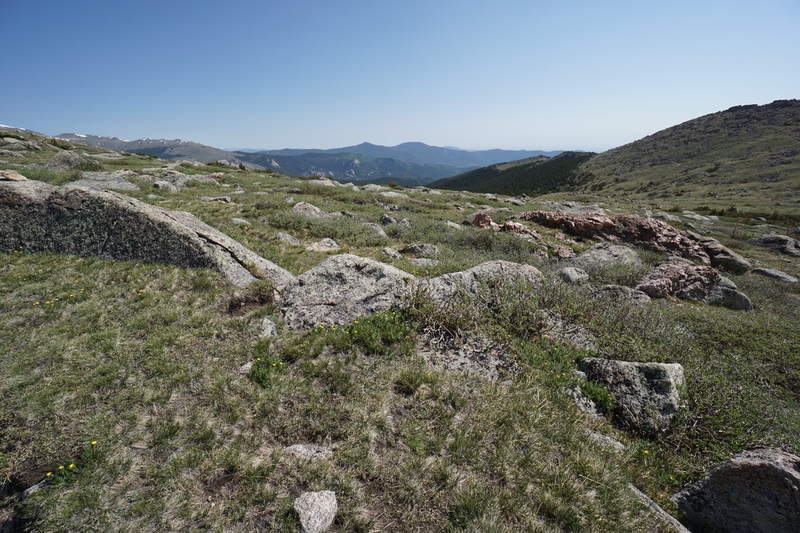 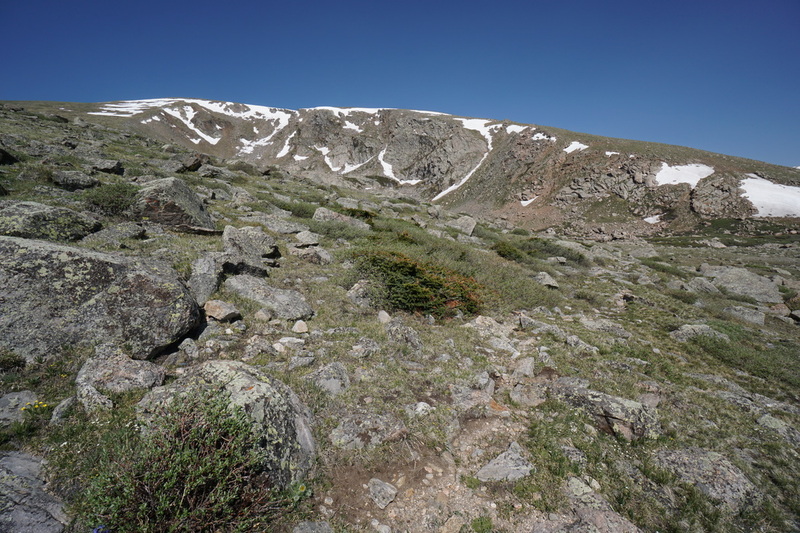 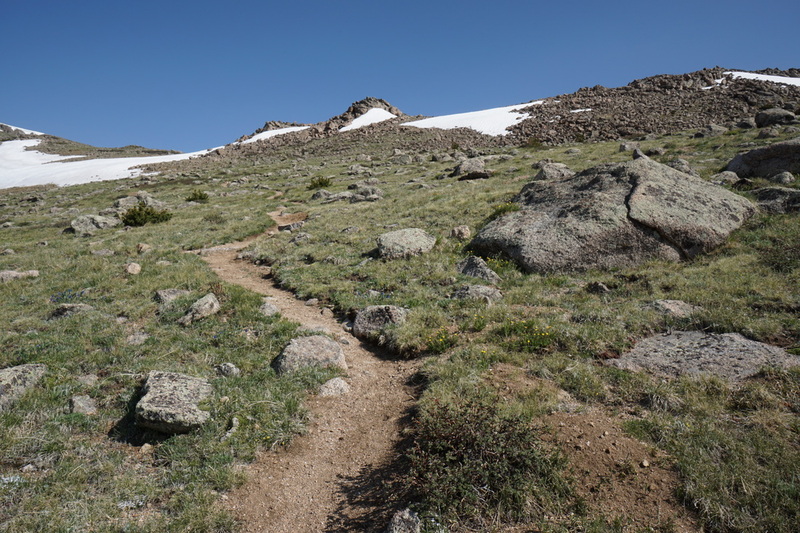 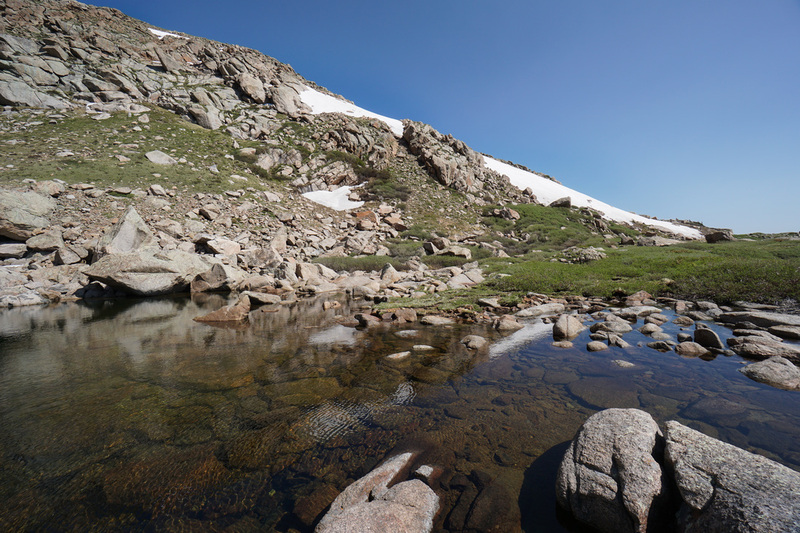 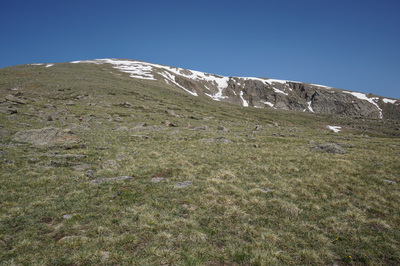 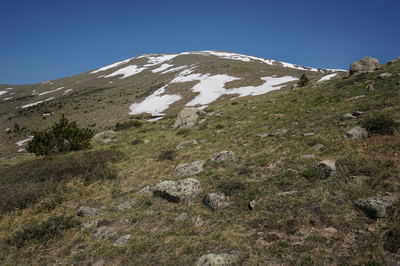 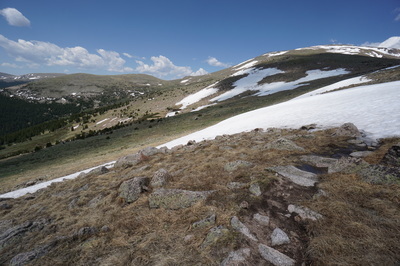 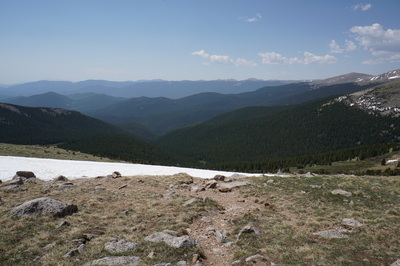 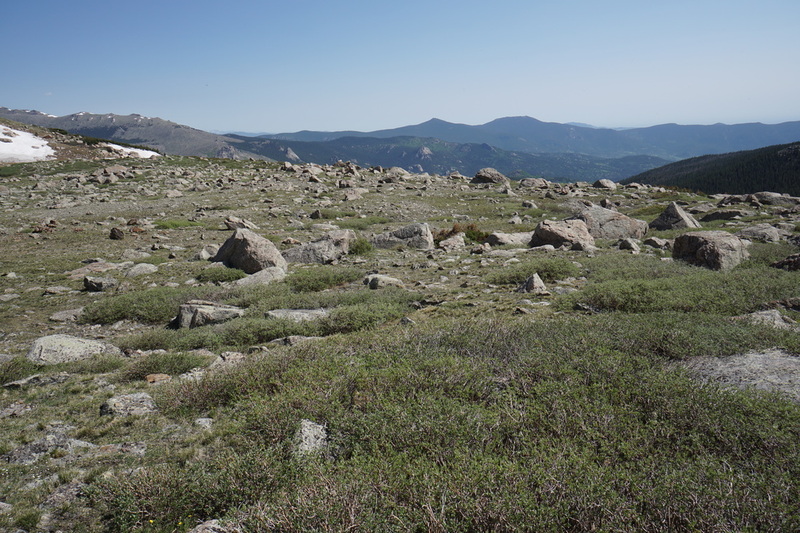 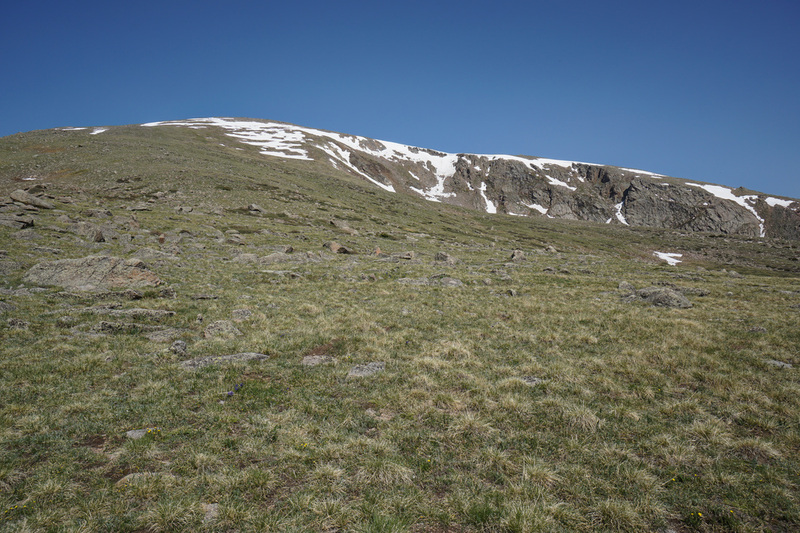 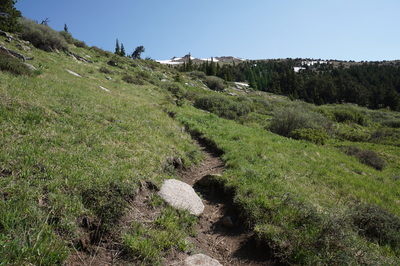 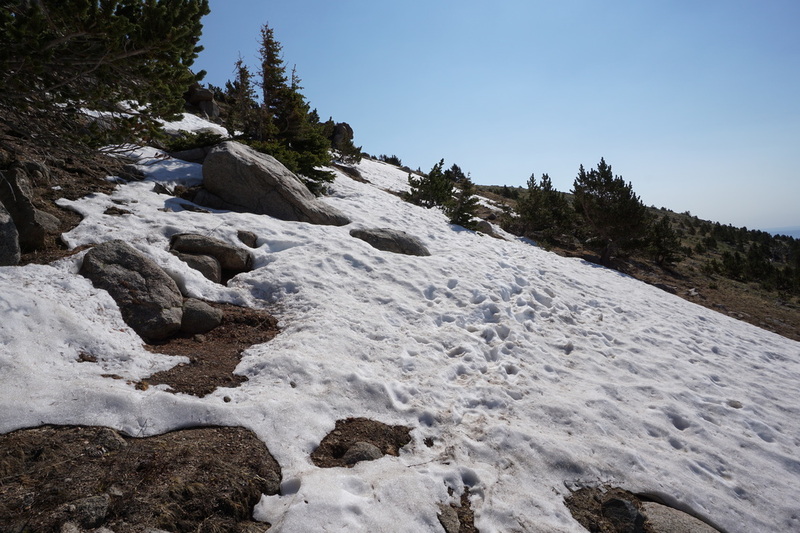 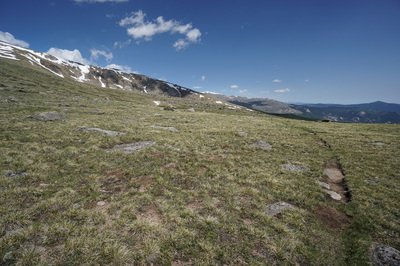 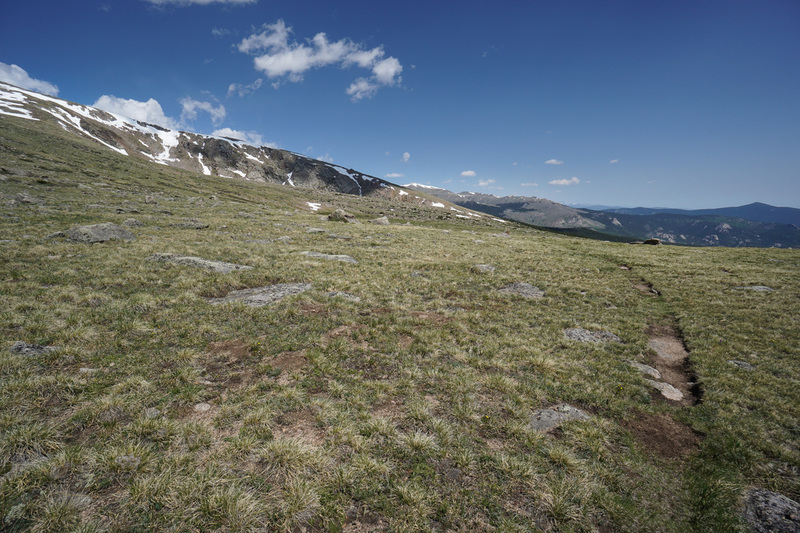 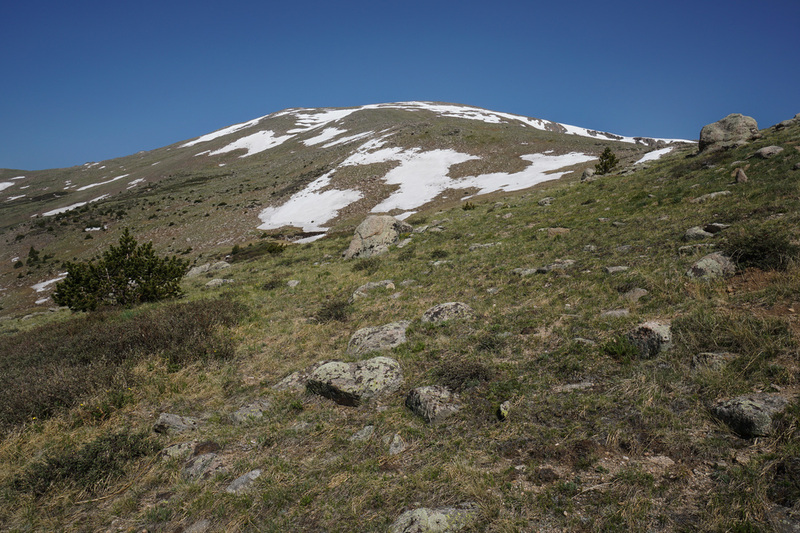 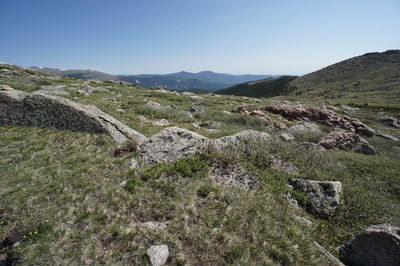 You can also turn to the east and explore the rock Pegmatite Points or turn left to climb (off trail) to the summit of Rosalie Peak at roughly 13,500ft. If you follow the trail to the north, you are rewarded with views down into the Mt. 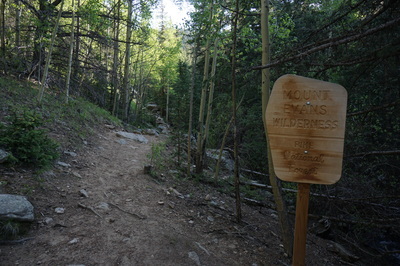 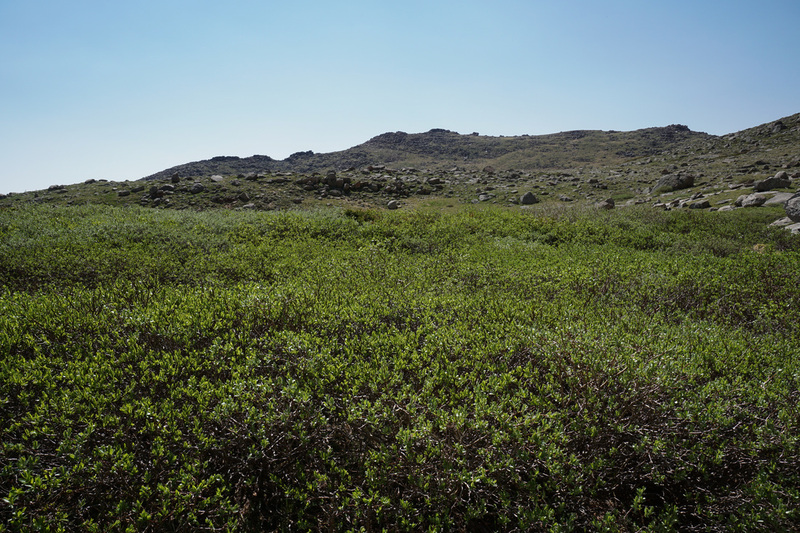 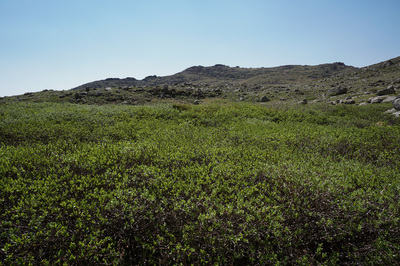 Evans Wilderness. You can just make out Mt. Evans Road in the distance. 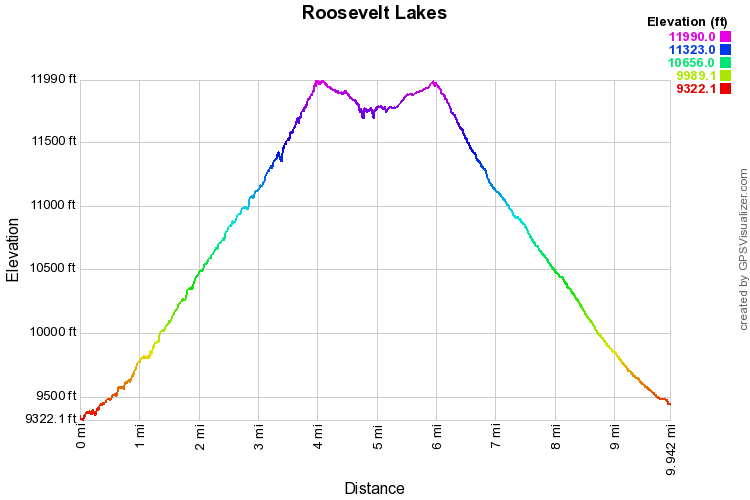 If you continue down the trail for .7 miles, you are further rewarded with the Roosevelt Lakes. 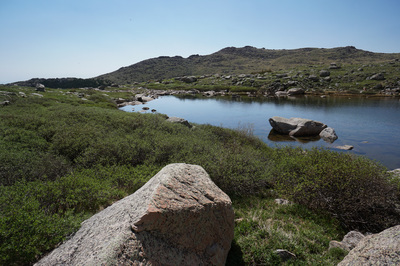 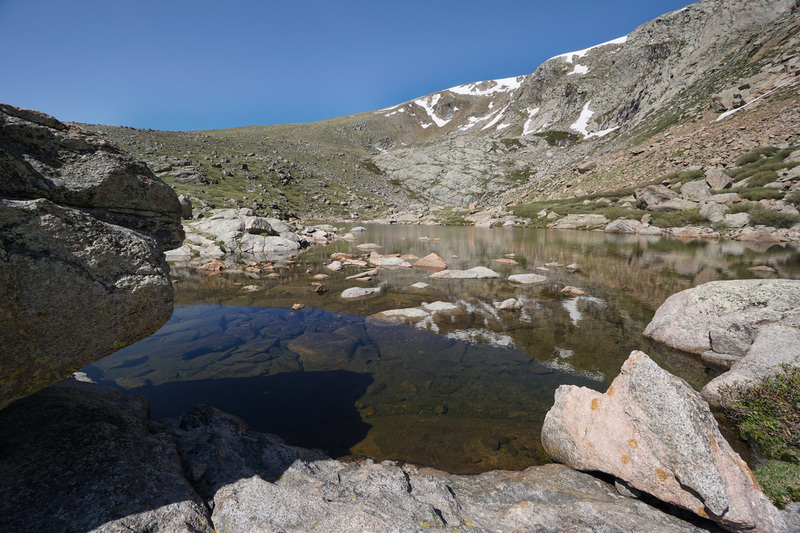 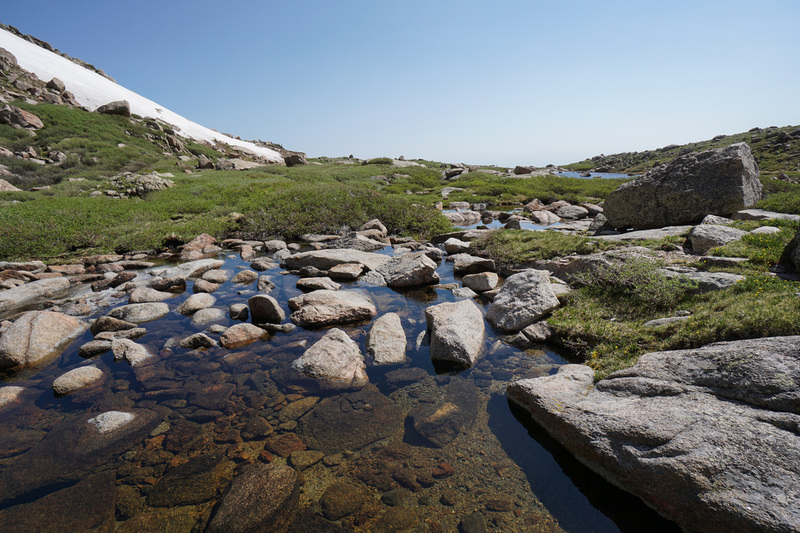 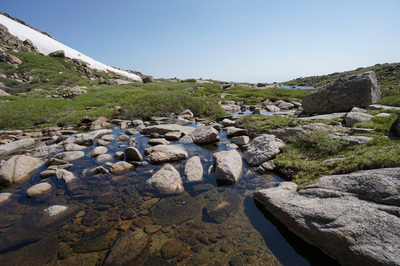 These lakes are stunning, with crystal clear water and plenty of large flat boulders to relax upon. 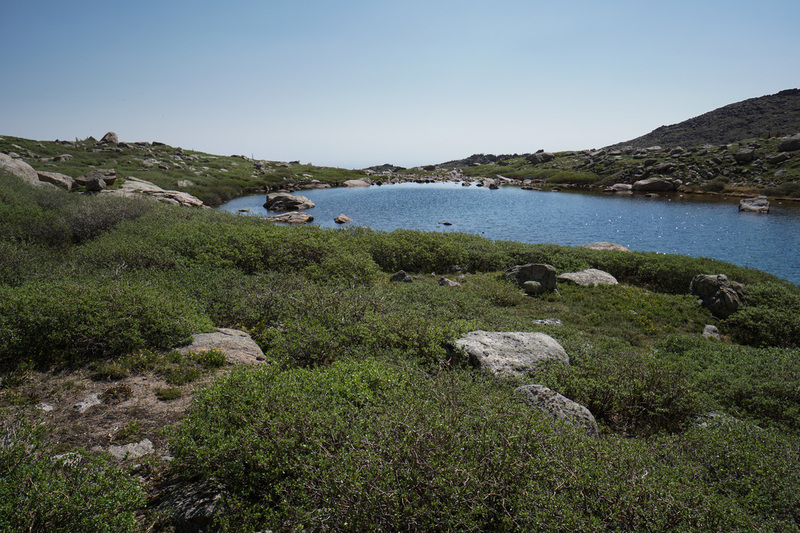 The Rosalie cliffs tower overhead and the valley sharply falls beyond the lakes, giving you an effect similar to an infinity pool. 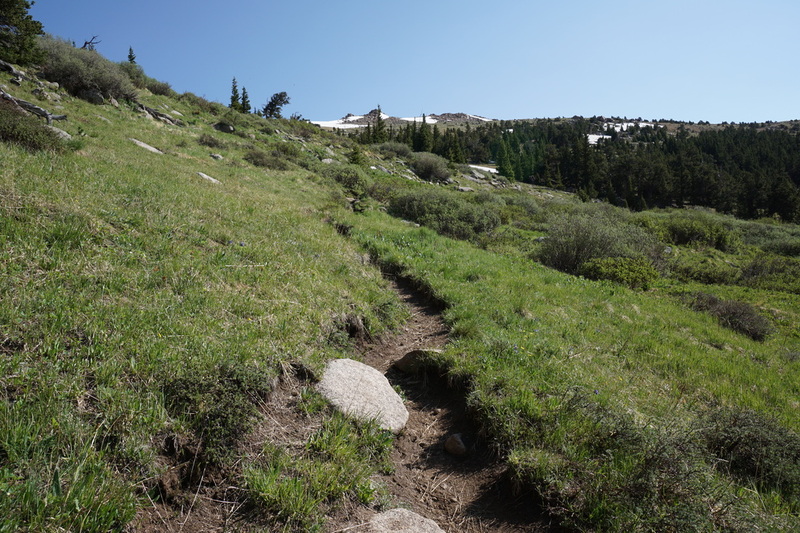 The hike back out from the lakes is straight-forward be be sure to stay aware of the trail to the lakes as it can be difficult to regain the trail on your way back.